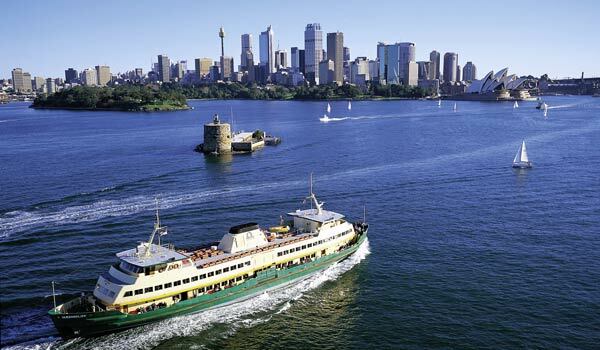 Sydney, with approximately 4 million inhabitants, is Australia’s largest and oldest city. The first migrants came to Australia from the British Isles and were soldiers and convicts. They unfurled the Union Jack on Jan. 26, 1788, in Farm Cove, now known as Sydney. This date now is commemorated as Australia Day. Sydney has always attracted immigrants, particularly from Asian countries such as Hong Kong and Vietnam, due to the pleasant weather and the harbour, which makes the city one of the most beautiful in the world. The first Latvians arrived in Sydney before World War I. Many Latvians participated in the 1905 revolution against the Russian Tsar, and had to leave their home country to escape deportation to Siberia or a lengthy jail term. Quite a few of them found Sydney to be a suitable city in which to live or at least a place for a temporary stay. The number of Latvian escapees from Russia was sufficiently large to form a small society known as Sidnejas Latviešu pulciņš. This little Latvian organisation had a lofty aim: to establish a library with Latvian books, journals and newspapers that may be too expensive for individuals to purchase, and to develop as far as possible the intellectual and moral life of its members, as well as those of non-members. The pulciņš accepted as members all Latvians living in the Sydney area. The group existed until 1926. In 1930 the Latvian government appointed the Sydney-sider Norman MacLeod as the honorary consul for Latvia, with Kārlis Nicis as his secretary. Nicis, who had recently left Latvia, was the main organiser of two annual events for the Latvians of Sydney: the celebration of Latvian Independence Day on Nov. 18 and Līgo svētki, the traditional midsummer festival. Between the world wars the number of Latvians in Sydney changed very little. But after World War II, quite a few Latvian refugees came to Australia from the Displaced Persons camps of Germany. If the Latvians of Wollongong and Newcastle were included, then Sydney formed the largest Latvian community in Australia. The newcomers developed an active social and cultural life. Sydney initiated a Latvian Cultural Festival (Kultūras dienas), which was later staged annually and hosted in turn by Latvians in all the capital cities of the states of Australia. In 1955 the Latvians of Sydney also initiated the Australian Latvian Theatre Festival and in 1964, the Australian Latvian writers’ seminar (Rakstnieku dienas). Unfortunately, the last of these writers’ seminars took place in 1992 due to a lack of new authors who write in Latvian. In 1951 the Sydney Latvian Society (Sidnejas latviešu biedrība) was formed. It still thrives and is the centre of most Latvian activities in Sydney. Each month the Sydney Latvian Society publishes an information bulletin called Ritums, which covers all the Latvian cultural, religious and sporting activities in Sydney and keeps its readers informed of the main events in Latvia. The newsletter is subscribed to by over 800 Latvian families, not only in Sydney, but also in other parts of Australia. Before Latvia regained its freedom in 1991, the society also published books in Latvian. 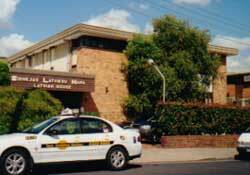 The main centre of Sydney’s Latvian cultural and community activities is the Latvian House (Latviešu nams) owned and run by the Sydney Latvian Society at 32 Parnell Street, Strathfield. This building complex also houses the Latvian consulate and a Latvian bookshop. In the late 1990s the Sydney Latvian Credit Cooperative merged with the Australian Latvian Credit Cooperative of Melbourne. An office is still maintained in Sydney and is housed in the Latvian House. Numerous other organisations use the facilities of the Latvian House for rehearsals, meetings, performances and various other activities. On Saturday mornings Latvian children go there to improve their Latvian language skills and to learn about the country where their grandparents were born. The Latvian House is home to both the Sydney Latvian Society’s primary school and its high school. In addition, until 2005, matriculation classes in Latvian were held in the Strathfield Girls High School buildings nearby, as part of the New South Wales Department of Education and Training’s School of Modern Languages program. This opportunity to learn Latvian as a matriculation subject ceased in 2005 because student numbers dropped below a certain level nationwide. Two Latvian choirs are active in Sydney. A men’s choir, Sidnejas latviešu vīru koris, meets for rehearsals at the Latvian House every Monday night. A mixed choir, Sidnejas latviešu jauktais koris, meets every Tuesday. For many years there were two folk dancing groups in Sydney, but due to a lack of new dancers, only one still exists. Jautrais paris, formed in 1950, rehearses every Friday night. Jautrais paris also forms one part of the well-travelled Saules josta ensemble, which is well known by Latvians around the world for its performances incorporating traditional Latvian song and dance. The Sydney Latvian community is very proud of its theatre company, Sidnejas latviešu teātris, which recently celebrated its 50th anniversary. The stage at the Latvian House used by this group is the largest in the area and is also used by the Strathfield Musical Society for staging various operas and musicals. The artistic community, united under the Association of Latvian Artists (Australijas latviešu mākslinieku apvienība), holds art exhibitions for groups of Latvian artists or individuals within the Latvian House complex. Another group which has been very active in the Sydney Latvian community and has its own club and bookshop at 49 Stanley St., Bankstown, is the Latvian Welfare Association “Daugavas Vanagi” and its ladies’ auxiliary. Since Latvia restored its sovereignty the association is mainly concerned with helping families and old soldiers in Latvia. The organisation’s membership outside Latvia consists mainly of World War II veterans and their families, hence both membership and their activities are gradually declining. For many years one of the most popular events attracting visitors from within and outside the Latvian community has been the annual exhibition of the craft society, Sieviešu rokdarbu kopa Sidnejā. This group comprises mainly women who are experts in Latvian handicrafts. The membership of this group is both aging and decreasing as young Latvians have little time for organised participation in craft activities. As the average age of Sydney Latvians increases, a growing number of activities are being organised for retirees within the community. The most popular of these are the monthly gatherings for seniors, known as “Senioru saieti,” that include lectures, film viewings, social events and excursions. In Sydney, as in many Latvian communities, there are a number of active academic fraternities and sororities. The joint gatherings of both the fraternities (Korporāciju kopa Sidnejā) and the sororities (Studenšu korporāciju kopa Sidnejā) take place in one of the many rooms of the Latvian House. Sydney has two Latvian Lutheran and one Catholic congregation. The oldest Lutheran congregation, Sidnejas ev.-lut. latviešu draudze, has a church (St. John’s) designed by Latvian architects and built by members of the congregation. The church is located at 30 Bridge St., Homebush. Behind the church is a hall that hosts a Sunday school and is the venue for various events mainly run by the congregation. The minister for this congregation is the spiritual leader of the Latvian Lutheran church in Australia, the Rev. Dean Colvin McPherson. The second Lutheran congregation, Latviešu ev. lut. Vienības draudze, shares the Uniting Church (on the corner of Morwick Street and The Boulevard in Strathfield) with other congregations. The minister is Pastor Raimonds Sokolovskis. Since the death of its priest, the Latvian Catholic congregation has mostly been integrated into the local Australian Catholic congregations. The administration of the Latvian Federation of Australia and New Zealand (Latviešu apvienība Australijā un Jaunzēlandē) and the associated Cultural Fund rotates every three years between the three main Australian cities: Adelaide, Melbourne and Sydney. Currently, Melbourne is the seat of this umbrella organisation, which oversees and coordinates the political and cultural activities of the Latvian communities throughout Australia. Sydney, which held the post from 2000-2002, will take over this role again in 2009. Radio broadcasts in Latvian can be heard on the multicultural Special Broadcasting Service (SBS Radio 2 on 97.7 MHz FM) from 4 p.m. to 5 p.m. on Wednesdays and from 5 p.m. to 6 p.m. on Saturdays. The SBS broadcasts are transmitted alternately from Melbourne and Sydney. Also active in Sydney are various local sporting groups. Olimpija organises regular golf and novuss tournaments. Spars and Daugava are particularly active in basketball, with Spars currently fielding two men’s basketball teams in regular competition as well as running regular training sessions for junior players. The New South Wales Latvian Sporting Association also organises annual swimming carnivals and tennis competitions for Latvians living in the Sydney area. Although the Sydney Latvian community is undoubtably aging and activities organized by the Latvian House mainly cater for senior members, the Sydney Latvian Society actively encourages and promotes youth activities. With musically-talented Viktorija Mačēna at the helm, various musical activities are held at the Latvian House annually and national youth gatherings both from a cultural and musical perspective have helped the younger generation to develop a strong sense of pride in its heritage. The younger generation’s involvement in Sydney Latvian Theatre performances is also noteworthy. The Latvian Society has a very welcoming and open attitude toward the youth in the community and may serve as an example to others as an organisation that embraces the ideas of its younger members. I would be interested to find out more about Karlis Nicis, secretary for the Latvian Consulate after 1930. I have been told that Indulis Nicis, who came to Australia in the first party of Displaced Persons in 1947, was his son. Was this so? I am looking for some history on the latvian nsw state volley ball champs around 1965. I would be grateful if you could let me know any information you may have about them, or a website that I may be able to find them on. I’m looking for descendants of Wilhelm Vitte. He had 3 childrens, but I know only 2 names – Adolf and Erna Vitte. Erna Vitte ( sister of my grandfather Adolf) emigrated to Australia, Sidney, between 1945-1950.Thanks for some information. Greetings from Latvia-Belgium. I discovered this website just moments ago, and would like to know who Ann Smith is and why she asks about my father Indulis Nicis and grandfather Karlis Nicis. I see the comment was posted in 2008, but am keen to make contact with Ann, if possible. Kristine, if you visit http://bonegillasbeginnings.com, you get the background to my interest in your father and grandfather. You can use another Web page, the Contact Us page on my Fifth Fleet site at http://fifthfleet.net to send an e-mail. Looking forward to hearing from you! Ann. Kristine, I’ve also sent you a message via your Facebook account so that you can connect with me on FB. Probably you won’t see it when you look at your messages but open up a message that you do see, look back at your list of messages, and above you should now see an ‘Other’ link. My message should appear when you click on Other.